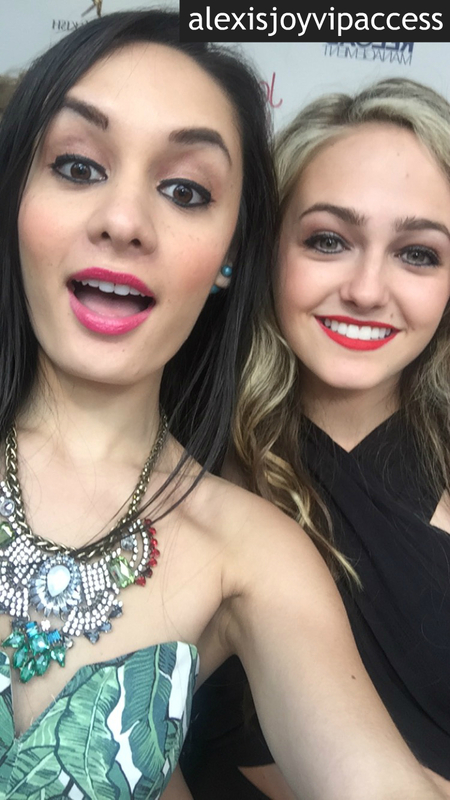 VIPAccessEXCLUSIVE: Sophie Reynolds Interview With Alexisjoyvipaccess At Jordyn Jones’ Sweet Sixteen! Are YOU the ultimate gamer? Then, Gamer’s Guide to Pretty Much Everything is definitely a show for you! Following the life of Conor, a professional video gamer who broke his thumb and was then forced to go to high school for the very first time where he met three other gamers just like him and created everlasting friendships, Gamer’s Guide to Pretty Much Everything is a show that brings out the inner gamer and video game junkie in us all! Part of the outstanding cast includes the effervescent and spectacular actress, Sophie Reynolds! The second the lovely lady made her way to all of our TV screens, we all instantly found ourselves becoming fans of this multi-talented and radiant actress. Sophie Reynolds has such a fun-loving, vibrant and vivacious personality that is seen both on and off the show. As the cast of Gamer’s Guide to Pretty Much Everything films their second season of their amazing show, we all look forward to seeing what kind of excitement is yet to come in future episodes and we of course can’t wait to see Sophie Reynolds’ beautiful face on our TV screens a whole lot more! I, Alexisjoyvipaccess had the greatest time interviewing the gorgeous Sophie Reynolds at Jordyn Jones’ Sweet Sixteen and Sophie Reynolds dished exclusively to Alexisjoyvipaccess all about what she would like to see happen to her character in future episodes of Gamer’s Guide to Pretty Much Everything, what her number one guide would be for gamers, and so much more only in our VIPAccessEXCLUSIVE interview. The dazzling Sophie Reynolds even gave some awesome fashion advice out to all of her fans – hear what she had to say in our VIPAccessEXCLUSIVE interview below. Thanks for the wonderful interview, Sophie! Check out my VIPAccessEXCLUSIVE interview with the stunning Sophie Reynolds at Jordyn Jones’ Sweet Sixteen below! Previous Article: Grumpy Cat, Ryan Cabrera And Blake Lewis Teamed Up For Friskies’ #CatConcoctions Event At SXSW! Next VIPAccessEXCLUSIVE: Aidan Alexander Updated Interview With Alexisjoyvipaccess At Jordyn Jones’ Sweet Sixteen!